We got a tip that Peter Pfeiffer, an independent tree farmer who lives and works on 100 acres in Solon, was cutting fir tips for Christmas wreaths. Pfeiffer, 67, is also the author of a self-published memoir called “Hard Chance: Tree Farming in Troubled Times,” an eclectic tale that covers such disparate topics as Berkeley in the Patty Hearst era and Pfeiffer’s passion for playwriting and performing with a “backwoods theater company” called the In Spite of Life Players. Given that ’tis the season for cutting things down and putting them in your living room or on your doors and all that, we called him up to talk trees, sustainability and why he uses Roundup. THE STEADINESS OF HOMESTEADING: The book is a real ramble through time. Pfeiffer’s rebellious youth led him to Berkeley, riding his old BMW motorcycle cross-country in the winter of 1970-71, determined to bring “imperialist Amerikkka to its knees.” He picketed fruit farms on behalf of striking Chicano farm workers. He protested the Vietnam War and looked for a revolutionary group that suited his purposes (and was later grateful he didn’t join the Symbionese Liberation Army, the group that kidnapped heiress Hearst). He took classes (including in carpentry) at Merritt College in Oakland. And eventually, simplifying majorly, he came home and heard Scott Nearing speak at a country fair. That’s when he got serious about homesteading on land in Solon that had been abandoned by a farming family in the 1920s. WRITER’S MOTIVATION: Being part of that movement is what made Pfeiffer want to write a book. “Because of this brief period of time there were all these young people, from all these backgrounds, but usually educated, who came up here to carve out these lives,” he said. And they were good lives, within solid communities. 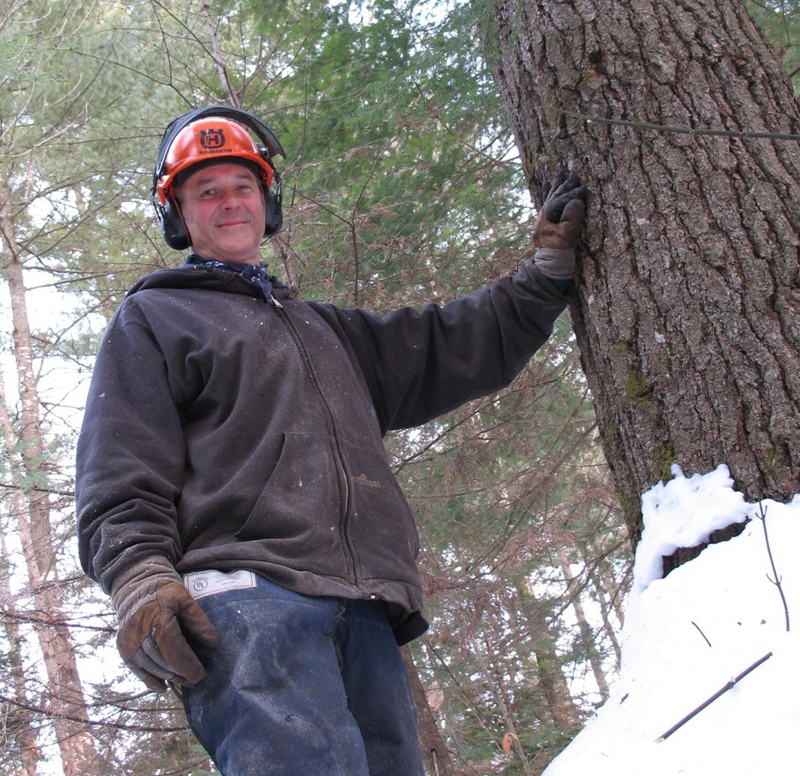 “There were these people who thought they would get out of traffic and build something positive and lasting.” For him, that involved a love of the woods and caring for the trees. But with the overstory that resulted from leaving some trees up, his new growth didn’t get enough of a chance. “I’d come back five to 10 years later and it would be a mess.” So he started small clearcuts and then planting oaks, the trees he wants. To keep down regrowth from the trees he cuts down, he douses the stumps with Roundup, another trick he picked up along the way. ABOUT THAT ROUNDUP … : In Pfeiffer’s book he writes about using Roundup and says he hasn’t heard of it adversely affecting the people who use it (there are big environmental concerns, including its connection to a drastic reduction in the Monarch butterfly population). But he notes in the same paragraph that he has had lymphoma. That was in 2007. Did he fear a connection? Pfeiffer said he uses it in a very limited way, but “I honestly don’t know if I am putting myself at risk. RETIREMENT PLANS: You have to ask, what are the retirement plans for a 67-year-old tree farmer who has given away more copies of his memoir than he has sold? “You sound just like my mom.” She’s 94. “She says, ‘Petey, how much longer can you do this?’ ” he said. “I’m going to cut wood this winter and maybe I’ll cut some at my brother’s place next winter. I’m getting kind of worn out to tell you the truth. I really love this kind of work. I am not the least bit disappointed or bitter. I don’t wish I had bought Microsoft for $8.